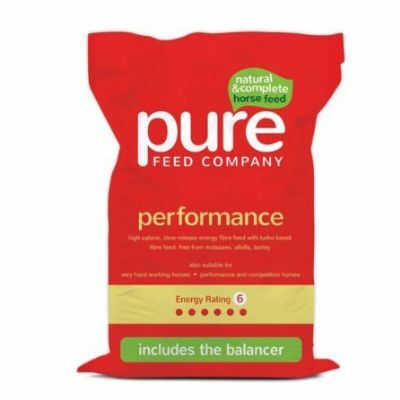 Pure Performance is our highest energy feed. It is designed for racehorses, higher level competition horses and other horses which need a high energy feed. 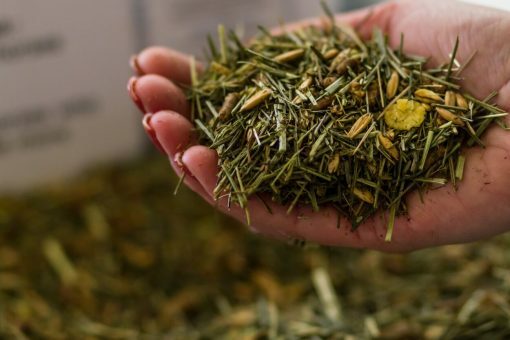 It is unique in the Pure Feed range in that it combines oil and oats to provide both fast-release and slow release energy. It is just what you are after if your horse needs instant performance plus stamina. Oats provide an instant energy source. Oil gives your horse sustained and controlled power. Pure Performance contains fibre to be kind on the digestive system. All-in-one bag for your ease and convenience. Helps to improve topline and muscle development. Pure Performance delivers doubly on energy. As well as our usual preferred slow-release energy source of oil, this feed also contains high-quality whole oats. These oats provide the fast-release energy kick that high-level competition horses require. So immediate energy and prolonged stamina are covered, but as with our other feeds this is an all-in-one solution for you. That’s because it also contains our premium balancer. This ensures your horse gets all the nutrients they require: vitamins, minerals, amino acids, biotin, prebiotics and probiotics too. You get a lot for your money. Because oats can be harsh on the digestive system, we ensure that Pure Performance contains a good ration of fibre. This is kinder on the digestive system. If your horse needs lots of power, and you want them to look and feel great too, then Pure Performance is the premium feed for you. 400-600g per 100kg body weight per day depending on body condition and work done.